When working with repository users log in with their credentials to a specific Dataedo user. This user needs to be created in the repository first. 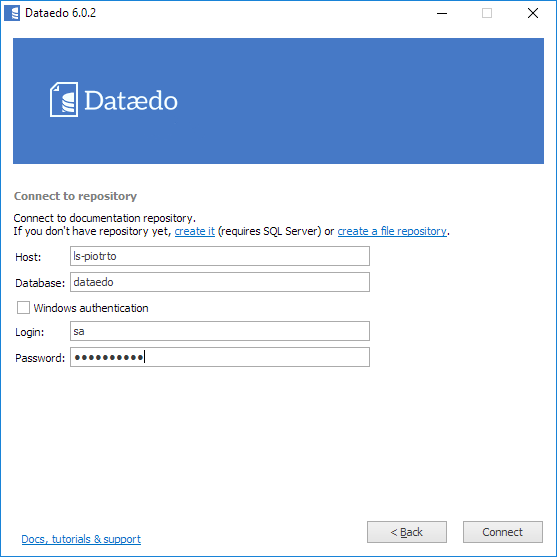 Dataedo users are based on SQL Server users. When users connect to the repository they are in fact connecting to SQL Server database using SQL Server user. Both are required - Dataedo user and SQL Server user. 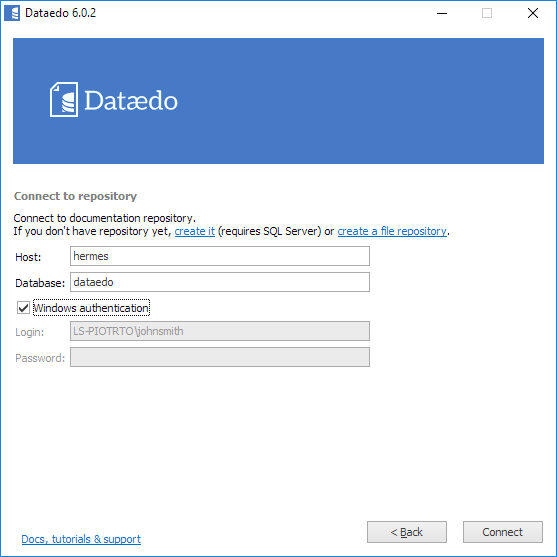 This is a list of all users on a server (lsrep) and users defined in 'dataedo' repository on that server - only two of them are Dataedo users. This is a view from Dataedo Administration Console. SQL Server authentication - login and password are saved in SQL Server instance. Windows authentication - Windows authentication is used. This is an exact reflection of SQL Server authentication options. This method is managed on the server.